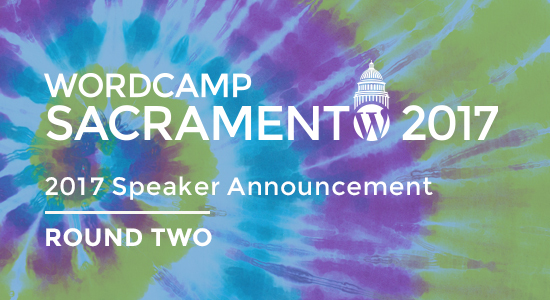 …I am excited to announce that I was selected to be a speaker/panelist for the 2017 Sacramento WordCamp coming in September! I will be presenting ideas in the panel for the session on Blogging Success and Monetization. In a related blog post, Need More Inspiration? Attend a Blogging Event, I described the variety of blogging events happening, well, all over the world! WordCamp Sacramento took me by surprise, and a fellow Sacramento blogger encouraged me to apply as a presenter. I feel very honored to be able to share my experience as a blogger! “WordCamp Sacramento is a casual, locally organized conference happening September 16-17, 2017 that covers everything related to the world’s favorite platform: WordPress. Whether you’re brand new to WordPress, you use it casually, or you’re a seasoned professional, there is something for everyone at every skill level! You can read below how big this event will be by the number of speakers they lined up. Is anyone else thinking about attending a blogging conference? Please let me know and I can update the post! For those attending the Bloggers Bash in London, have a wonderful time and enjoy each other’s company! I will be excited to see the winners and congratulations to all the nominees! I know…! September in Sacramento is crazy with two blogging conferences. I hit the jackpot! Well done and good luck with this Terri. Blogging conferences are so helpful. The bloggers bash was very informative and fun too. Thanks, Marje! They just announced the tentative schedule and I’m looking forward to it! That is so cool, Terri. I wish I could be there. My family is going to Sedona the 16th through the 23rd of September. I will be in Sacramento September 29-October 1 for the Food Bloggers Conference http://www.foodista.com/ifbc. Enjoy Sedona! This one came up unexpectedly so I’m happy to go. See you at IFBC! I’m really sad to miss it! I pushed it out on Always Write, but I’ll do more on Twitter, too. Many congratulations on being a guest speaker at this event, Terri. I’ve never been asked to guest speak before, so I’m looking forward to hearing about how it all went. There looks to be a big crowd going, and I’m sure you’ll get to meet up with a few other bloggers whose blogs you already follow. But, most of all, have fun. Thanks, Hugh! What I’m impressed about are the ticket prices for two whole day… $40!! Some great sponsors! 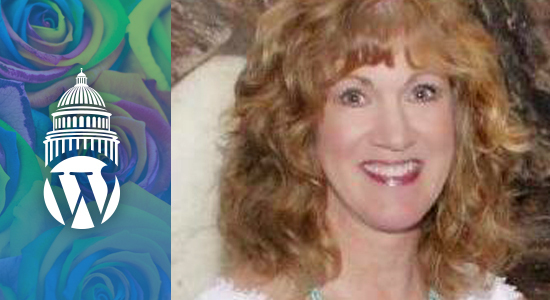 Congratulations, Terri! I know that you will do an awesome job. I so wish that I could be there. Richard and I will just be getting back from the Camino Trail, and packing for Palm Desert. I do hope to attend an organized blogger event sometime in the near future! Thanks, Donna I’m very much looking forward to it! Congratulations, Terri. This is a wonderful accolade for you. Wish I could attend. Your event sounds so exciting, Terri. I am sure you will be a great speaker/panellist and will have a great time. Thanks so much, Robbie, I hope to learn some things too! Your Sacramento WordCamp sounds much better than the one I attended in San Diego last year. The San Diego WordCamp was focused on Word Press web designers, admins, and providers. There was hardly anything (actually nothing) for bloggers at all. I’m sure it was great for the vast majority who attended, but the few bloggers I met there were disappointed. I would love it if the had one for bloggers/writers here. I am anxious to hear about your experience. I remember we talked about that. The last two years I believe it was not focused on blogging, it seems like a good mix this year! This sounds exciting. I’m going to look into this further. I’m just 2 hours away. Congrats to you on your speaking engagement. Tickets for WordCamp are not on sale yet, but do check out the website and maybe subscribe to their email list. They announce something every day on their blog 🙂 It would be fun to meet you! It’s on my list to do—I so want to attend a blogging conference because I feel like I have so much to learn!! If we weren’t going to Seattle this Oct, I might have been able to swing going to the Sacramento one….bummer!! Is it every year?? We tend to be huge planners, and since we have this meet up in Seattle in October, I don’t think we could squeeze this in—ugh!! And next year we are thinking of taking a cruise for my mom’s 80th celebration (and Nancy’s 70th)—if only I could go everywhere…..